Which Science Fiction literary character best represents you? Why? Jo-Kin, aka Joshua Atkins, Super Space Kid zooming across the galaxy to save Captain Astra and Planet Earth. He battles scary monsters and incredible robots all before Breakfast. He’s such an ordinary young innocent, who in the face of adversity, learns to do extra ordinary things. I just love his true potential that emerges when all is lost. Jo-Kin teaches kids perseverance, team power and brain power. Jo-Kin represents me, Karen Tyrrell, ordinary science geek who dreams of zooming into space to save the world. In which literary time and setting would you most like to visit? Why? I love writing about parallel universes. A world much like where we live now but governed by different rules and laws of science. A place where we are not limited by the power of our physical body, but unlimited by our mind power. 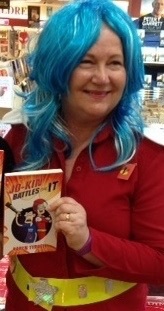 My humorous children’s novel Jo-Kin Battles the It is set in such an extraordinary and FUN world. Where do you see yourself in the year 2036? I see my digital words published on multi-media for children to read, hear and interact using their five senses for all eternity. I will be present as a disembodied voice over. … another dimension transformed by time and space. There Jo-Kin discovered his nemesis, the most wicked of all creatures, hell-bent on destroying him. The only chance to survive was to decipher the secret code of the portal door. What are the most imaginative books you’ve ever read? So many Imaginative books! So little time! Fantasy novels: Chronicles of Narnia, Alice in Wonderland and Harry Potter ignite my imagination. Sci-fi novels: Dune, The City of Ember, The Day of the Triffids, War of the Worlds and Journey to the Centre of the Earth, all transport me into another dimension. What advice would you give to future writers and illustrators? A. Write with absolute passion and conviction. Believe you’ll get published and you will. B. Dream up the most imaginative story and characters possible. Inject them with empathy and humour. Make the reader care deeply about these characters. C. Turn your book into reality. Take the initiative and discover new pathways to publish your book. 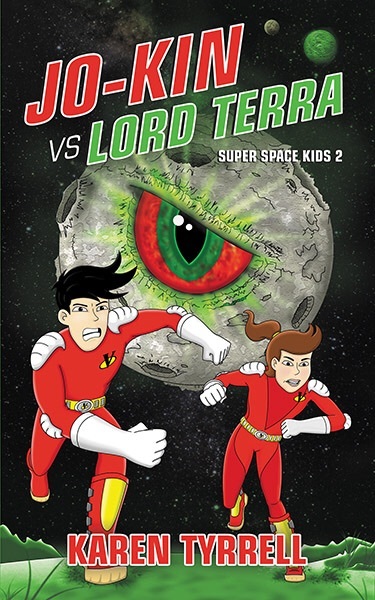 Karen’s NEW sci-fi novel is coming soon… Jo-Kin vs Lord Terra (Super Space Kids 2) sequel to Jo-Kin Battles the It (Super Space Kids 1). 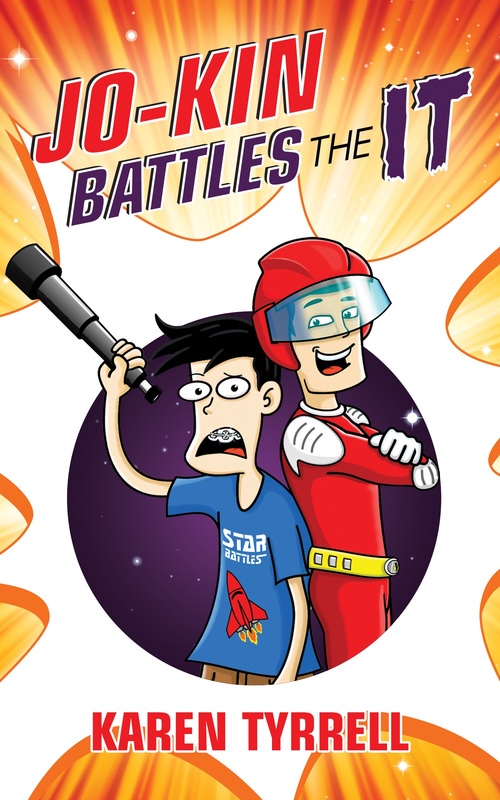 Karen Tyrrell is an award winning resilience author of children’s books: Bailey Beats the BLAH , STOP the Bully, Harry Helps Grandpa Remember and Jo-Kin Battles the It. Karen will publish two new sci-fi books in 2016. Connect with Karen at www.karentyrrell.com and on Facebook and Twitter. ← How to get your work read by publishers. Thanks for interviewing me on my three passions: science fiction, writing and resilience. Thanks to the genius of your #interviewbyTheme questions I was able to use humor to express the answers here. I wish you and your website every success in the future. PS If your readers have any questions, I’d be thrilled to answer them here.